Take a sip and sport your Chicago Blackhawks Blackhawks spirit with this Chicago Blackhawks Stainless Steel Tumbler. 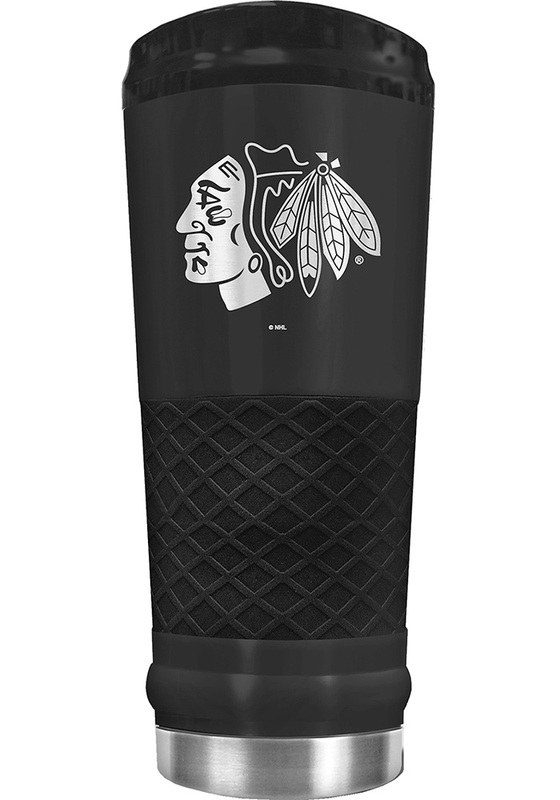 This Stainless Steel Tumbler features a Chicago Blackhawks laser etched graphics. The STEALTH Draft is a 24oz Black Powdered Coated Vacuum Insulated Tumbler. Includes black silicone grip and spill resistant lid. Keeps drinks Cold or Hot for Hours. Go Blackhawks!